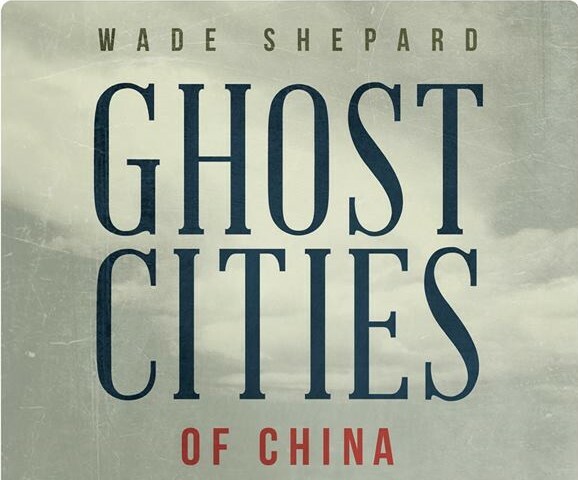 Ghost Cities of China is can now be pre-ordered through Amazon. This is what I’ve been working on for the past two years. Published on January 6, 2015 by Wade Shepard Follow me on Twitter here. My book, Ghost Cities of China, is now available for pre-order on Amazon (use this link if in the UK). It is being published in the Asian Arguments series of Zed Books, and the release date is set for April. So far, paperback and hardcover versions are available for pre-order, though it is my impression that an ebook version will be released when the book is ready to ship. Pre-order purchases are slightly discounted if buying from the U.S. Amazon site, so if you’re interested in reading my first book this would be the best time to buy. Ghost Cities is the product of two years of traveling through China, hanging out in half finished and/ or stagnant new cities, getting to know the people who are building them and those who are moving in. Some of these new cities are not really even on any maps yet, and their scale and scope are unlike anything we’ve seen before. When we say that China is undergoing rampant urban development, hardly an eyebrow raises — all developing countries are doing this. But when we realize that China is essentially redrawing its map with hundreds and hundreds of new cities — many larger than L.A. and San Francisco — we must ask why. Why is China preemptively investing billions into urbanization for populations that may or may not materialize? How can they build hundreds of new cities, expand hundreds more, relocate hundreds of millions of people, demolish thousands of ancient villages, destroy the material framework of myriad old traditions, completely restructure the society of the most populated country on earth and expect it to work? I also wanted to know what life was like in these new cities. Who are the people building them? Who’s designing them? Who is buying property in them and for what reasons? Who is moving in and what will the new communities they establish be like? Who is being kicked out to make way for all this development? What aspects of old culture and traditions are being destroyed? How are the lives of the people being impacted changing? What is this new urban culture that’s forming around the country all about? These were my question throughout these travels. The answers, I found, were vastly more complex that I could have imagined. Though my final conclusions were what was really startling. In fact, I hated to write them . . .
My initial interest in China’s ghost cities partially extended from the eternal traveler’s conceit of wanting to discover something new. While the world has been map, the seas charted, the rivers followed up to their sources, China has presented the traveler with a loophole: new places. Literally. While the age of men and women scouring the globe for undiscovered lands, un-contacted peoples, unknown animals, and things that their culture had no knowledge of has long pretty much been over, the basic tenets of exploration will never die. In this age of rampant development and major cultural shifts that are occurring in almost every part of the globe, the intrigue is no longer what was lost and hidden but trying to understand what is happening right in front of us. New things are being created every day. New places are being built, new cultures are rising, old ones are disappearing, everything is changing faster than ever before. It is easy to get taken along with this current and view these transitions while moving with them, which produces a stationary sort of optical illusion — like riding in a train next to another that’s moving in the same direction at roughly the same speed. So sometimes we need to grind ourselves to a halt, stand still for a moment, and just watch the as the flood rages by. I was able to proverbially stand still for a two year period and watch a handful of China’s new cities emerge and grow. The result was absolute and complete awe. In 15+ years of travel I don’t think I’ve ever been so awed so regularly. If travel is the act of stimulating the senses with the unfamiliar then China’s ghost cities did the job with incredible proficiency. From walking through massive new central business districts nearly the size of Manhattan that were being built all at once to watching far flung, ridiculously placed empty new cities start filling up with people to contrasting what I was seeing on the ground to what was being reported in the international media, this ghost cities project provided some of the most interesting travels I’ve done yet. Read more: I sign my first book contract.